Established in 1952, Swansea Angling Club offers day ticket coarse fishing at Gelli-Hir Farm on the beautiful Gower Peninsular. Swansea Angling Club was established way back in 1952 when at the time very little coarse angling was considered in the Swansea area. 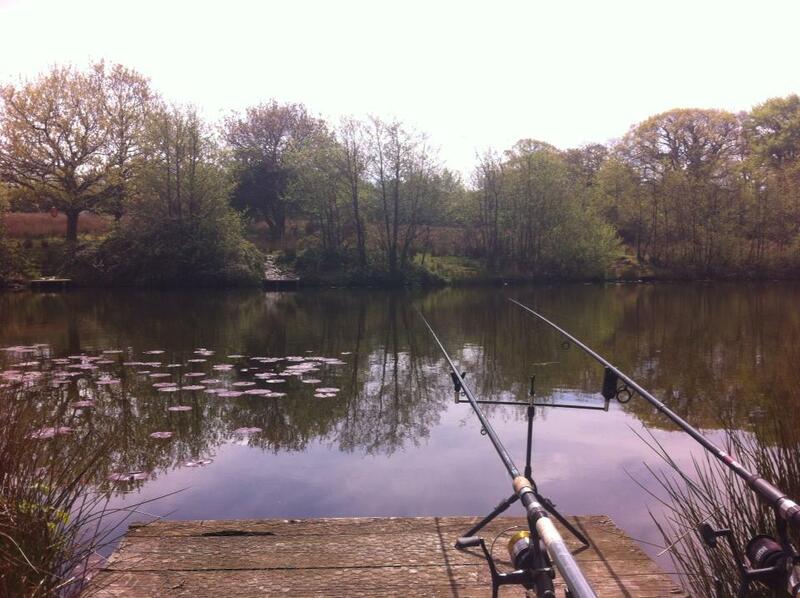 It was decided to start a club after permission was given to fish the university lake at Fairwood Lodge, Swansea. At the time it proved to be a good decision because the lake held a good head of large tench, bream, roach, perch and a few pike. Through the 1970s and 1980s the old and now heavily silted 2.5 acre estate lake also kept secret an exciting stock of large carp. As time went on, angling became a more popular past time and Swansea Angling Club’s membership soon grew with the club then leasing lakes on the Gower in addition to Fairwood. Sadly in recent years with the club losing permission to fish at Fairwood Lake, and with the opening of well stocked commercial coarse fisheries membership declined to a point last where Swansea Angling Clubs future looked to be in danger. In 2012, the angling club’s 60th year newly appointed officials and dedicated members begun working to breath life back into Swansea Angling Club and its future now looks much brighter. The angling club leases lakes on private farmland at Three Crosses, Swansea and with steady improvements to lake access the club now boasts a healthy growing membership. 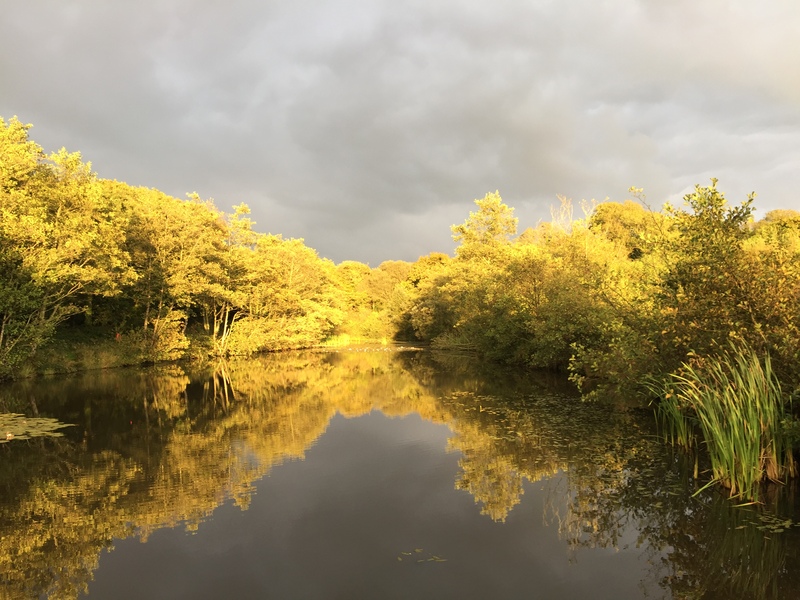 Gelli-Hir Farm Lakes are growing in popularity by anglers of all ages and ability due to the easy access and variety of fishing the lakes offer. Crucian Carp, Roach, Rudd, Tench, Bream, Perch and a few Carp are there to be caught. Swansea Angling Club can offer a quiet day’s coarse fishing in lovely surroundings at Three Crosses, Gower. There is a two-rod limit with no camping or night fishing being permitted. Day tickets can be purchased from Mainwarings Angling Centre, Sketty and from Country Stores, Gowerton. If you would like more information, or would like to join Swansea Angling Club then please e-mail swanseaanglingclub@virginmedia.com for further details. You forgot to mention in your write up about the very fine Crucian Carp in Fairwood Lake. We would start fishing at Dawn, catching up to 20 Tench to 3lbs. and as soon as the sun would rise at approx. 8a.m. the Tench would stop feeding, and the beautiful Crucian Carp would start feeding, they weighed up to 2lbs. a 1lbs.8oz. fish was average size.At this time, we weree not aware of any Common or Mirror Carp in the lake. When Swansea Angling Club first started leasing the water, Fairwood Lodge was owned by The Steel Company Of Wales. and Captain Phillips the Chairman resided at Fairwood Lodge, The Club kept the lake in excellent condition, with good swims all around the lake, we also maintained the dam and sleuce gate. It is a shame to see the water completely covered with lilies, and isolated. 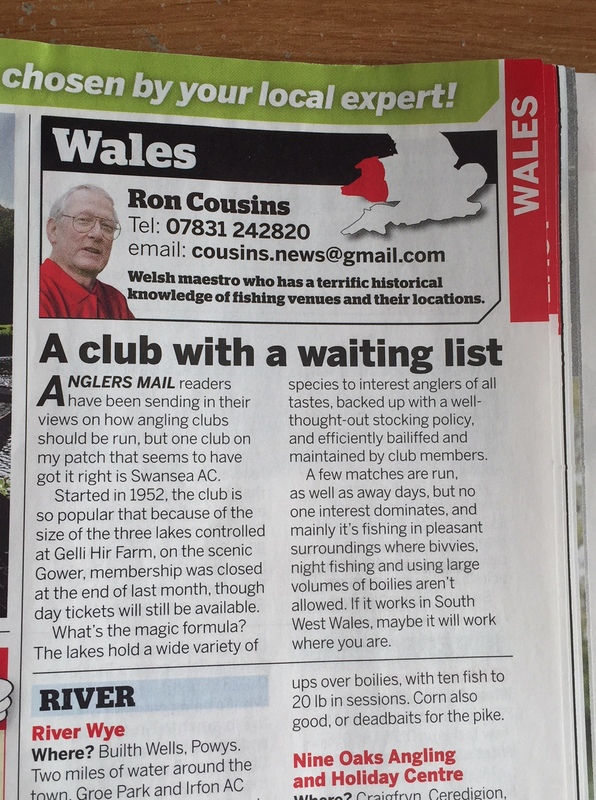 Thank you for providing us with a little more history behind Swansea Angling Club Tony. I also enjoyed some great fishing there many years ago. OK guys how many of you remember me? I recognise a few faces from the 2014 trip no problem with Simon and Geraint and a few others, but names fail me. Perhaps in Swansea early October – anyone got some spare tackle? Nice to stumble on this site – I spent one of my best ever days fishing at Gelli Hir in the summer of 2013, whilst holidaying in Oxwich. I had spent a few days at the large commercial complex just outside Swansea, and wanted something a bit different. Gelli Hir fit the bill perfectly – stunning (lower) lake, surrounded by a huge amount of amazing wildlife that kept me entertained between bites… And what bites I had! Some large Roach were a nice surprise, and the carp were good fun, but I managed to land not only my record Perch, but what turned out to be the largest I’ve ever seen. I hadn’t brought scales, but I estimated (by the fact that it struggled to comfortably fit on my pan-net) a good 3.5lb. And as I was alone on the lake, no photo!! Utterly stunned, as it was a very hot day, and I was fishing the margins with red maggot only. I’ve promised myself a day or two back there this year to see if I can repeat! Thanks. Dee.